All Brands is one of my go to sites for machine embroidery supplies! Great service and prices, I love doing business with you. I would not have returned to re-order if I wasn't totally pleased with your service. I especially like the no shipping charges for the needles ordered. 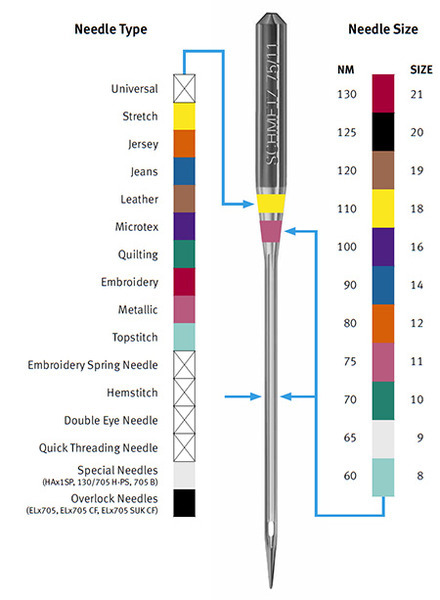 Thank you for being so prompt in sending the needles. I have purchased from your company in the past and keep coming back. Your prices are great with a vast selection of products to choose from. I will continue to shop with your company. Your telephone customer service was also terrific. Very happy with purchase and service. Would order again. first time to buy from you will buy again if opportunity arises. As always, AllBrands has been stellar. Keep it up. This was my first order with your company. It took a little searching to find what I was looking for. I have been very pleased with my order and will be back. Thanks! Your service and delivery were excellent. I will be back for more. I only marked the Satisfaction with Price down because I am always looking for a better deal, though I haven't found one better than yours.